So far, there is not a staggering body of music recorded in Simlish, the fictional gibberish language of numerous Sims games since 1996. In fact, Simlish has a long way to go before it even catches up with Esperanto in that department. But Will Toledo, lead singer and songwriter of the Seattle-based indie rock band Car Seat Headrest, is working to change that with a Simlish version of “Not What I Needed,” a track from the group’s recent Teens Of Denial album. This alternate language version of the song is included in The Sims 4: City Living, a title released on November 1. It’s nice to know that the dead-eyed pseudo-humans of the Sims universe will be finally able to enjoy a wider variety of music in their native language. The earliest songs recording in Simlish tended to be simple, familiar campfire ditties, though The Sims: Superstar, an expansion pack from 2003, did include several songs in the invented language. Since Simlish was originally based on improvised nonsense syllables, it’s difficult to say what constitutes a “translation” of a given text into this language. In this new version of “Not What I Needed,” for instance, Toledo simply sounds like he’s mumbling his way through the original song because he’s forgotten the correct lyrics. 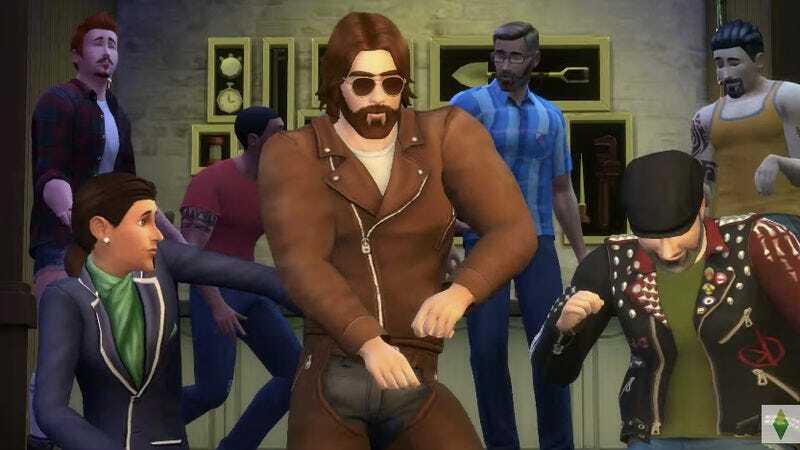 “Not What I Needed” actually has a few lines that apply manifestly to the Sims franchise, which is all about telling people what to do: “Get a job, eat an apple, it’ll work itself out.” That’s pretty much the essence of a lot of The Sims right there. Incidentally, if the song sounds a little familiar—even in Simlish—it’s because Toledo was influenced by the 1978 Cars track ”Just What I Needed.” Had it not been for some clearance issues, the Car Seat Headrest song would have been even closer to the original.